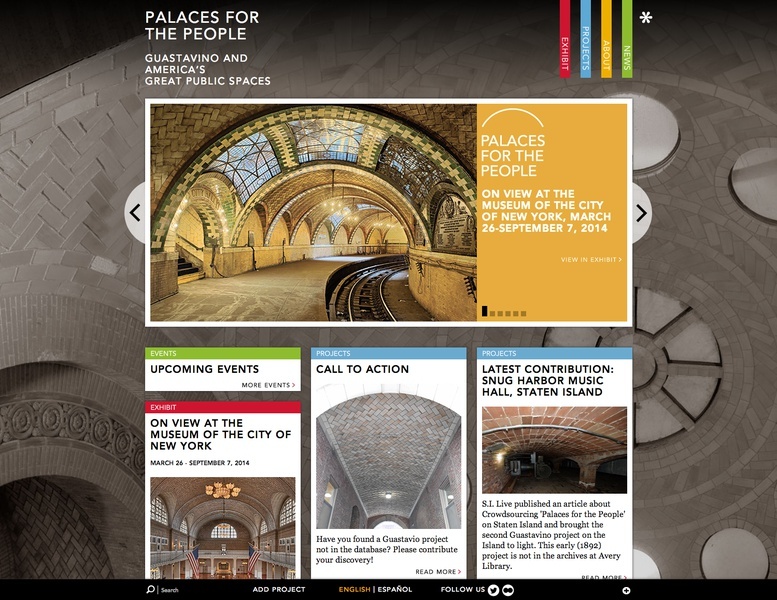 Palaces for the People illuminates the work of the Spanish immigrant Rafael Guastavino Sr. (1842-1908), arguably the most influential master-craftsman of late nineteenth and early twentieth century American architectural interiors, and the family company he created. 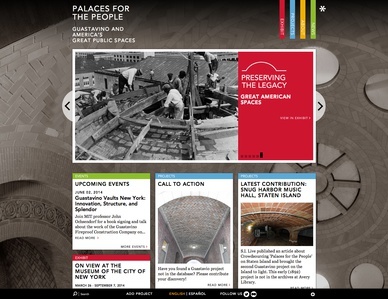 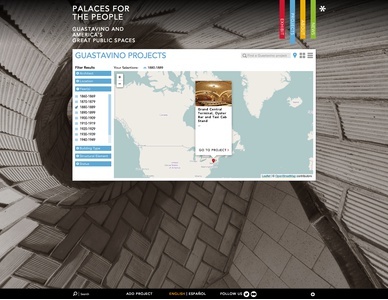 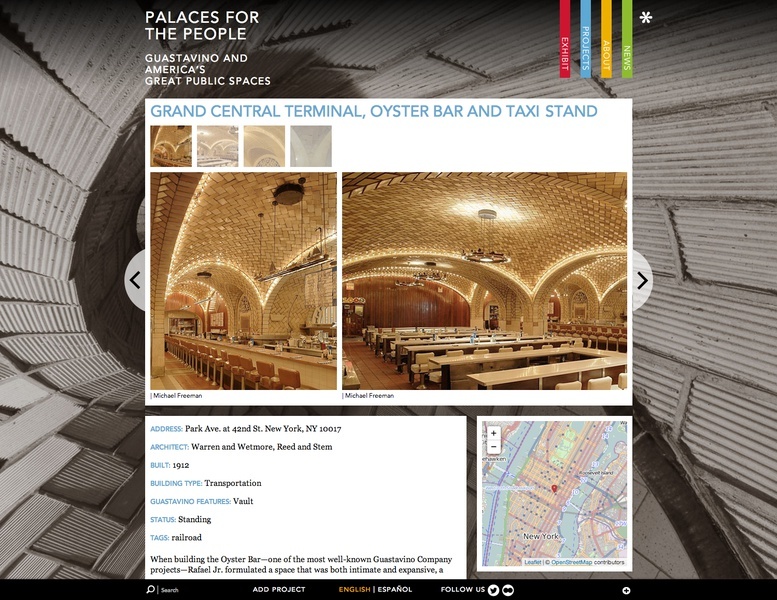 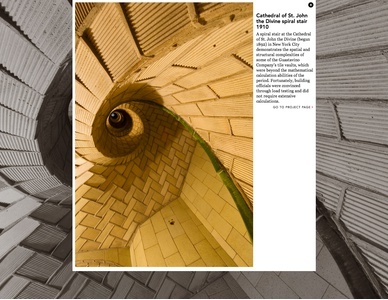 The firm created a traveling exhibition to showcase Guastavino’s work for international audiences, especially those in communities with surviving Guastavino buildings, and recently added this website and project database to provide access to more than 600 Guastavino projects for teaching and research. Utilizing a fully searchable, interactive map of all known company projects, visitors are able to easily locate Guastavino’s work in their communities. They’re described with photos, narrative, active dates, and supplementary documents such as preparatory drawings and correspondence. 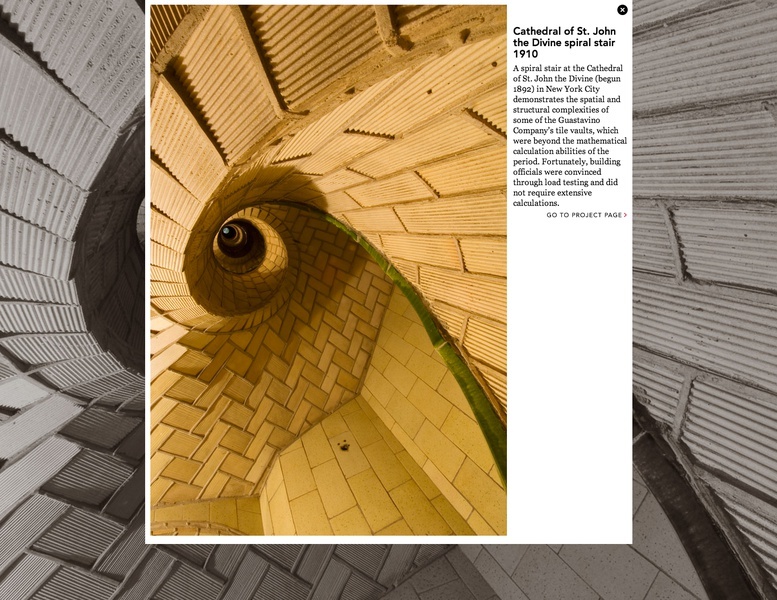 Though Guastavino’s buildings are known to exist in more than 35 states, not all of them have been identified. 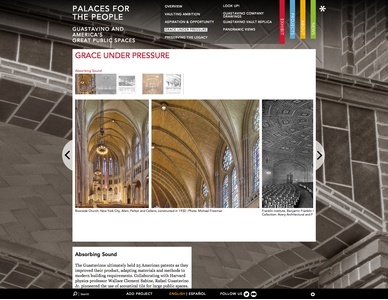 Visitors to this website are encouraged to help identify and document Guastavino’s vaulting across the country, contributing their own images and documentation to the database.